Asthma is a disease that affects the airways of the lungs. With the disease, the airways routinely become swollen, constricted, and filled with excess mucus or phlegm. These conditions limit or obstruct the ability of air to get in and out of the lungs. With time and proper treatment, however, the airway obstruction gets better and reverses itself. How often the airways are effected, how much they become inflamed & constricted, and how well they return to normal between symptoms will help the doctor determine the severity of the disease and how to best treat it. The formal medical way that doctors define asthma is by saying that it’s a chronic or recurring inflammatory disease of the airways that affects various cells of the body. The cells that are involved with asthma include those that cause allergic reactions called mast cells; infection-fighting cells like eosinophils, neutrophils, and macrophages; and the cells that make up the lining of the airways called epithelium. Asthmatics tend to have recurrent episodes of wheezing, shortness of breath, cough, and chest tightness that occur whenever they are exposed to the conditions that cause the symptoms to flare up. A flare up of asthma is commonly associated with airway obstruction, or the inability to get air in and out of the lungs efficiently. It improves with time and proper treatment. The airways are surrounded by smooth muscle tissue similar to the type found in the eye lids. During an asthma attack, this smooth muscle tissue tightens up and squeezes the airways making them very narrow. The narrow airways do not let much air flow through it making it difficult to breathe. Airway constriction is an over reactive response to the exposure of things like allergens and chemicals that are breathed into the lungs. Besides airway constriction, overly-reactive airways also become swollen and inflamed. These swollen airways produce a lot of excess, sticky mucus that has a tendency to clog the airways. So not only does an asthmatic have to suffer through narrowed airways, they also have to fight to breathe in the midst of sticky mucus clogging these tightened airways even more. This is partly why asthma can be so life threatening if the symptoms are severe enough. Once airways become obstructed from inflammation, mucus, and constriction, they do not let much of the air escape from the lungs upon exhalation. As a result, the air tends to get trapped in the lungs and expands them beyond normal. As the airways expand, they are damaged from bursting or from scar tissue being formed. The more lung tissue that is damaged, the less efficiently a person can breathe even when not suffering from asthma attack. This is why it’s important to always keep symptoms to a minimum. With proper treatment, asthma symptoms should be few and far between. 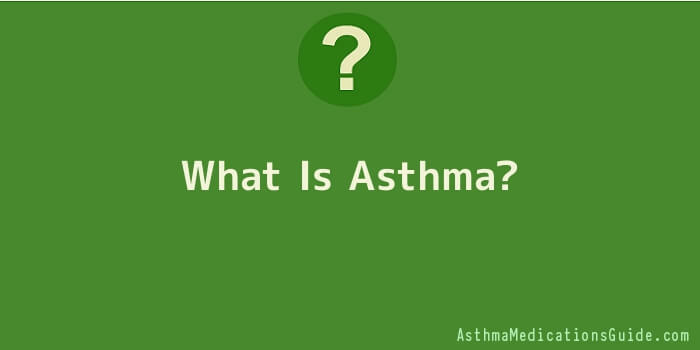 Asthma is a very complex disease of the lungs that involves different cells of the body as well as various symptoms. The frequency of symptoms and the amount of bodily processes involved will determine a person’s severity level. The more frequently and severely symptoms occur, the more damage there will be to the lungs. Once lung tissue is destroyed, it never heals or replaces itself. Thus, it is very important that symptoms are managed properly by a doctor that understands the complexity of asthma and the best way it can be treated. If you have asthma, your symptoms should be few and far between if it’s being managed properly. If you’re frequently suffering from asthma flare ups, talk to your doctor about more aggressive therapy. Ultimately, you may have to see a doctor who specializes in allergy and asthma for proper control of symptoms.